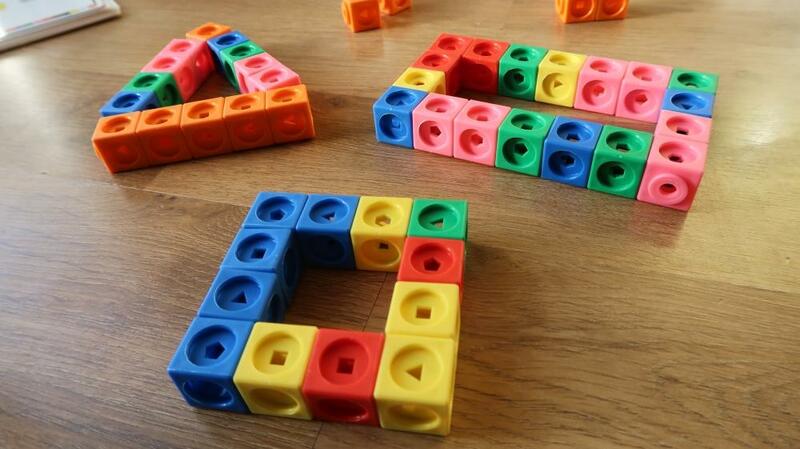 Mathlink Cubes from learning Resources are great for helping children learn about different maths concepts. They very usefully come with handy activity cards, with great ideas of what to do. It’s a good idea to go through the cards within the kit first and then add on to these with further ideas that interest the children. 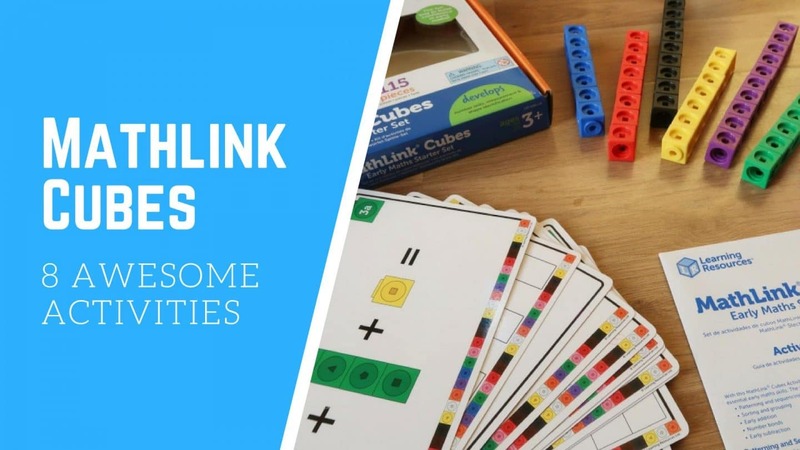 The activities below can be used in conjunction with the cards provided in the Mathlink Cubes starter set and some can be add on ideas to keep children’s interest. We’ve had great fun using Mathlink Cubes for learning different ideas and even just for play as cakes and sprinkles! They are definitely a great buy for any child who enjoys maths or just needs a fun way to practice. There are a few cards with patterns to copy in the pack, but you can also take this further with creating your own patterns. As there are 115 blocks, you can make some long patterns. 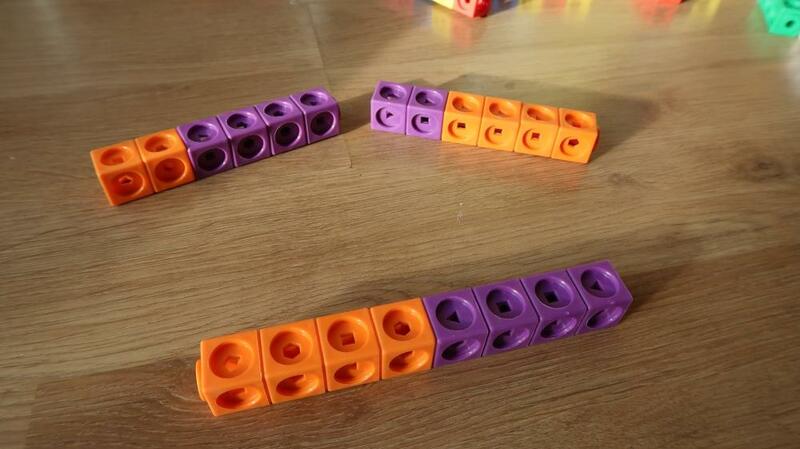 You can also make the patterns more complicated using the shape holes in each side of the blocks. This adds an extra dimension for older children and gets them to think a little more about how the pattern should be completed. I’ve given my children a stick of blocks with one pattern and then they can either copy or add more to the end of the cubes. Again there are cards showing different random combinations of cubes and the child can build their own to match. You can also do this yourself with your child. Create a random shape and ask your child to copy it with a different colour. You can also use the different shaped holes for more difficulty. One of the cards in the kit has a great activity where the child can create several random shapes and then fit them together to make a cube shape. Sometimes my eldest struggles with adding and subtraction when using mathematics apps like Mathseeds. So he’s been using the Mathlink Cubes to help him work out the differences between numbers. 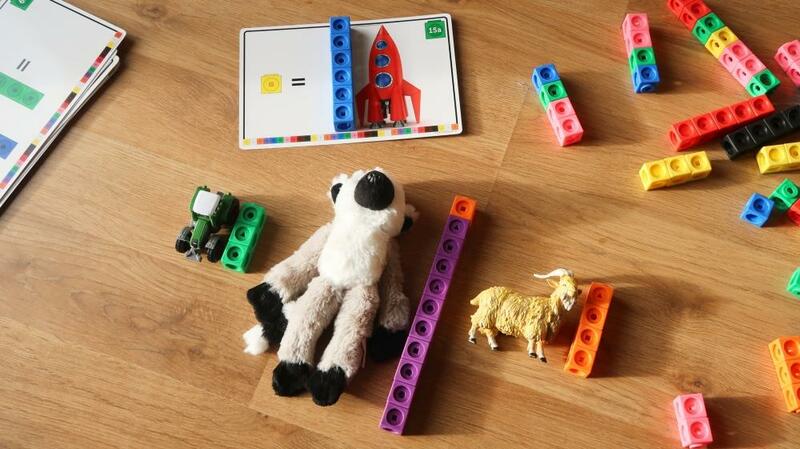 Write down different sums and let your child use their blocks to answer them, it’s surprising how fun they can find. Especially if they are in competition with a friend or stopwatch to win! Or you can make a lengths of untwisted DNA! Ha ha, you can always get some science in there somewhere! We’ve talked a little about what DNA is and eldest loves to connect it together at Glasgow Science Centre. So this is a nice way to help him understand what each block represents. 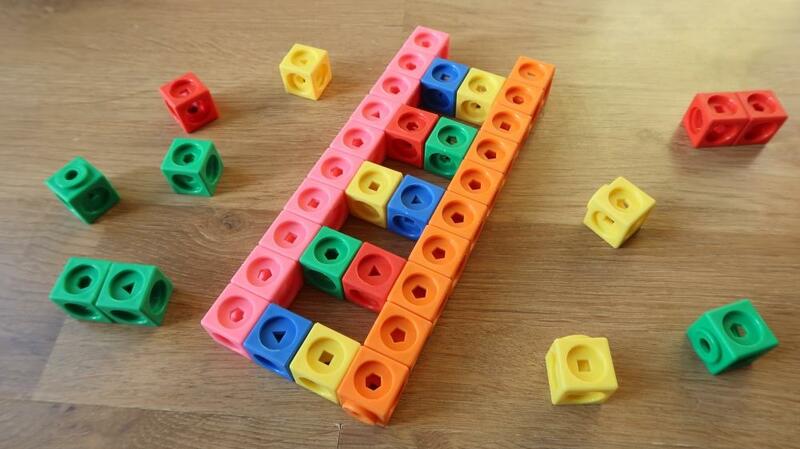 Get your child to find toys around the house and bring them downstairs to measure using the blocks. 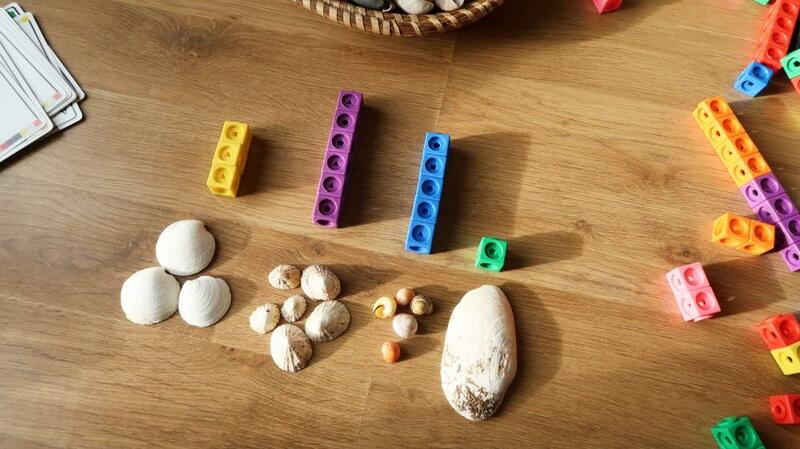 They can write down each toy and it’s measurement in blocks or simply have fun seeing different toys sizes. If writing down all the sizes of toys it might be fun to make a graph to see what the average toy size is. 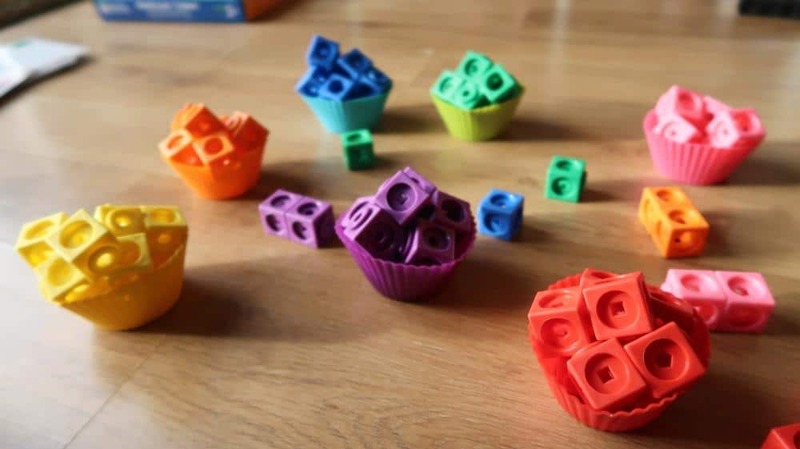 For younger children it can be fun to sort the different coloured cubes into containers. Make a pile of different coloured cubes in the middle and then let the children sort them into the correct piles. We do use food to talk about fractions, cake is a particular favourite, but then that’s probably not always the best idea! 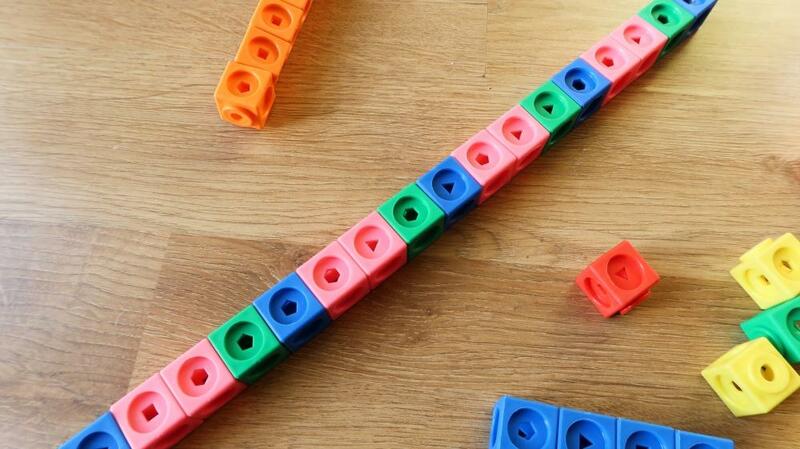 Using Mathlinks Cubes you can easily talk about splitting a set of blocks in half, quarters, thirds or whatever fraction you want. We like to take as set of 10 coloured blocks each and then we share by using fractions. For example, I will ask for a quarter of my eldest’s set, which he hands over, then he asks for 6/10ths and so on. 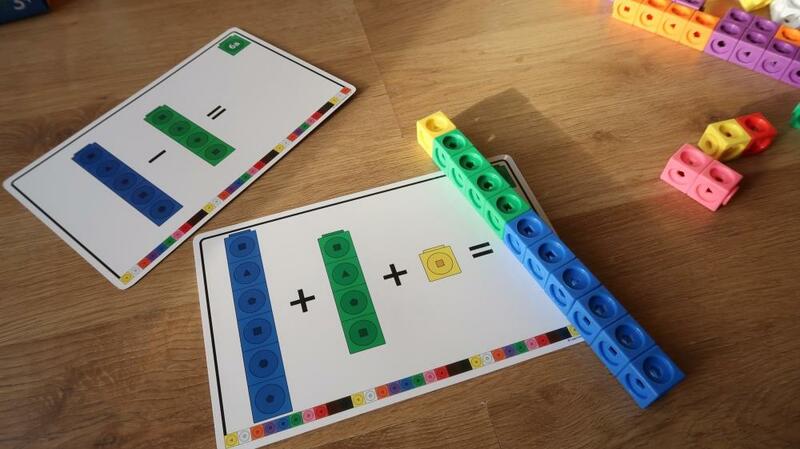 It’s an easy way of getting children to understand the concept of fractions. You can create graphs with different numbers of items. As it’s autumn we can create a graphs of different types of leaves or leaf colour using blocks to count them and place above. It’s a nice introduction to how graphs are formed. * This is a collaborative post with Learning Resources.